Mahalia Jackson's Black Gospel Spiritual song “Just a Closer Walk with Thee” is a popular hymn played/performed at funerals. According to Wikipedia, which has a page devoted to the song there is no known author for “Just a Closer Walk with Thee”, although some early references out of Atchison County, Kansas “credit an Africa-American foundry worker, Elija Cluke, as the writer.” Some evidence suggests that the song dates back to “Southern African-American Churches of the 2nd half of the 19th century”. The song gained popularity in the 1930’s at the Black Camp Meetings. Although frequently used as an instrumental dirge in traditional New Orleans Jazz Funerals, the vocal version of the song is often played or performed at funerals. Wikipedia notes that the “Selah Jubilee Singers” made the first known recording of the song on October 8, 1941. However, the song has been recorded numerous times. 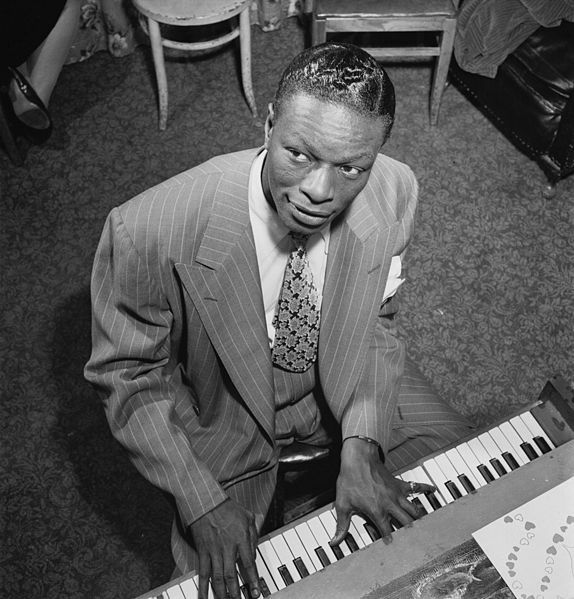 On AllMusic.com, a simple search of “Just a Closer Walk with Thee” turns up 1,755 results for “songs.” A number of well-known singers have performed the song including Patsy Cline; Willie Nelson; Loretta Lynn; Patti Page; Little Richard; Brenda Lee; George Jones; Ella Fitzgerald and Louis Armstrong – just to name a few. Mahalia Jackson was born on October 26, 1911 and died on January 27, 1972. Known as “The Queen of Gospel” she is said to have been “one of the most influential gospel singers in the world”. Mahalia began performing at the tender age of 16 in 1927. Thus, began her 44-year career in which she would record over 30 albums. Even after hearing this song many times now, by various singers, this song has an uplifting spirit. Ms. Jackson’s voice is joyous, soothing and feels genuine. The soft, constant and steady beat is comforting in its predictability. The lyrics depict a person who is asking to be closer to the Lord and looking forward to a better life after death. I do think this song is helpful to families hoping their loved one has gone to heaven, and this is likely why so many choose to play it at funeral/memorial services. 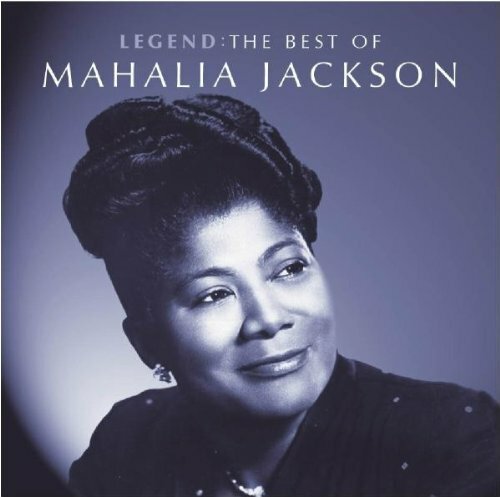 How do you feel when hearing Mahalia Jackson's song? Are there other songs you feel are comforting to hear during a time of grief or sadness? I’ve written a fair amount of obits for families, many of which have been published in newspapers. I always enjoy the process of making the family’s stories, anecdotes and facts weave together in a concise yet detailed remembrance of their beloved. However, before publishing my stepfather’s obituary I never knew the risks involved. As the calls kept coming, my mother got so stressed out and frustrated that she started yelling back at them. I begged her to change her number. Once the number was changed, the calls stopped. Interestingly, when my mother finally called to have her number changed, the lady at phone company had a similar story. The lady’s mother and stepmother also received fraudulent calls after her father died and yes, his obituary too was published in the local newspaper. Since my mother was involved in handling their finances, she knew these callers’ claims was false. But what if she hadn’t known? It’s likely such scare tactics might work on a less informed spouse. Nowadays, fewer people are keeping a landline at home and even fewer have listed phone numbers. For families who still have listed phone numbers, I’m not sure I would recommend publishing a loved one’s obituary. Have you ever written and published an obituary? 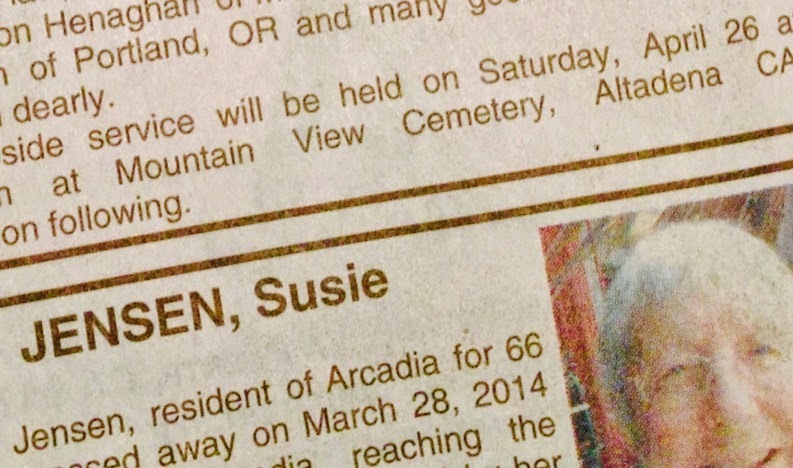 Do you think it’s still safe to publish a loved one’s obituary? Have you known anyone who has been targeted for scams after publishing an obit? At my stepfathers graveside service we had the bagpiper play “Minstrel Boy”, “Amazing Grace” (an all-time favorite played at most funerals), and “Will ye come back again”. Sadly it wasn’t until months after my stepfather’s service that we learned he wanted the song “Unforgettable” by Nat King Cole played at his service. My mother was saddened to have learned of this much too late. She’s not alone. 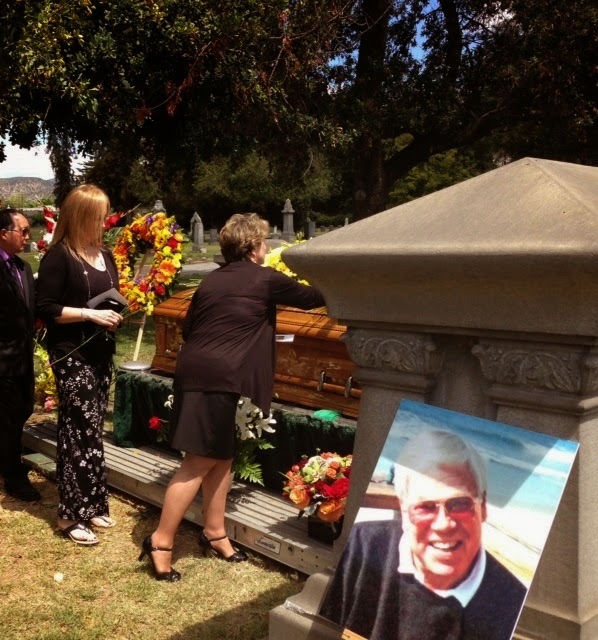 Many families have trouble locating the will or last wishes of their beloved. That’s why is so important to either pre-plan your final wishes with a funeral home or be very clear about where you have left the paperwork. Some emergency responders recommend leaving vital health information papers in waterproof container inside your fridge or freezer. Where do you feel important paperwork/final wishes should be kept? My friend’s 86-year-old grandfather recently entered hospice after suffering a debilitating stroke that left half his body paralyzed. She’s making the best of what little time they have left, visiting him frequently without her children. When I asked why, she said she was concerned the kids would be afraid of him and how he looks now with the paralysis. Looking back at my stepfather’s graveside service last year, I was disappointed when the parents of two children (ages 8 and 10) decided against bringing their son and daughter to the cemetery because they thought it would be too much for them. Their children were very close to my stepfather, and I feel they should have been allowed to come to this service because it was a beautiful, family friendly service. 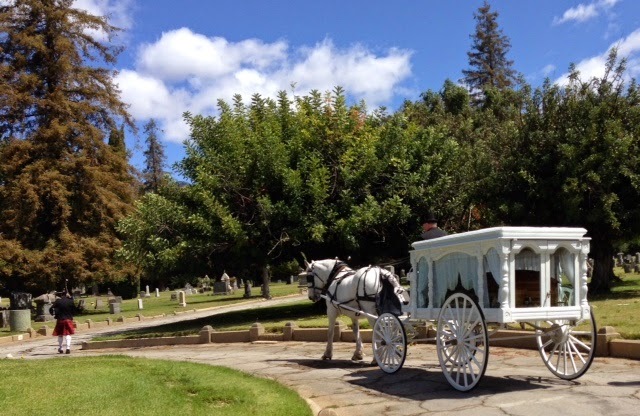 The service we held was held outdoors in the cemetery on a lovely sunny day with a horse drawn carriage. As a bagpiper led the carriage with a melody, everyone walked behind and followed the carriage to the burial site. The casket was closed the entire time and we had everyone place a flower on the casket before it was lowered. There couldn't have been a more perfect opportunity to address the subject of death with a child than this service. 0 to 3 years No comprehension of death. 3 to 5 years Unable to understand finality of death. 5 - 9 years Begins to understand death is final, but not always that it is inevitable for everyone. 9 years & up Understands death is final and inevitable for everyone. Be completely honest. When explaining death, speak in tangible terms instead of philosophical ones. Give your children permission to cry and to express their feelings. If you do not know the answer to a question they ask, be honest about that too. Children need stability and therefore, families should not make up stories or fairy-tales about death. Never share with a child something you do not believe yourself or something they will have to discard later. We should also never tell them their loved one is in heaven, that death is like sleep, or that death happened because the person was sick. This last part in particular can scare children into fearing death from any illness, which is why it is not recommended. Every parent has the right to decide when it is appropriate to expose their child/children to death. As a funeral director, I’m hoping parents will keep an open mind, and realize there are beautiful ceremonies that need not be frightening to their children but may help to expose them in a more gentle way. Do you remember your own first experience with death or the first time you had to explain death to your child? Was there anything you found that was comforting to you or your child? Today marks one year ago since my stepfather died on Easter Sunday. I’m both grateful and amazed my mother is still with us. His death was sudden and unexpected, and her grief was overbearing. I hoped she could make it at least this first year, and to see her thriving is a relief. I would have to attribute her success as a thriving widow as having many projects that keep her busy, and having a fairly active social life. My mother-in-law’s best friend has recently arrived at her 2-year anniversary of her husband’s death. She too has kept going by traveling with her family nonstop and staying close to her family and social circles. We can never predict when we’ll be faced with the loss of our beloved partner, but we hope to continue to find meaning in ours lives afterward.